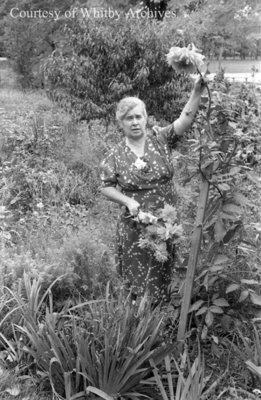 A black and white negative of Mrs. Mina Anderson standing in her garden and holding up a sunflower. A baseball diamond is visible in the background. Mrs. Mina Anderson, October 3, 1939, Marjorie Ruddy. Whitby Archives A2013_040_783A.